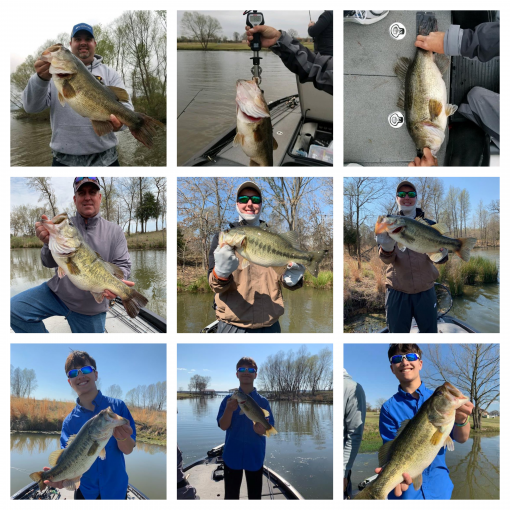 I want to start out by thanking everyone who has come out to fish with me this season. I am having a blast and I appreciate the opportunity to work hard and help y’all have a great time on Lake Fork. 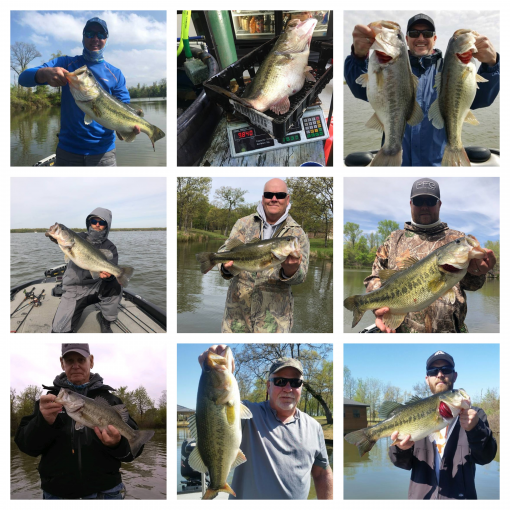 As of this post, the water level on Lake Fork is currently 402.94 and the temperature where I have been fishing is around 67 degrees. 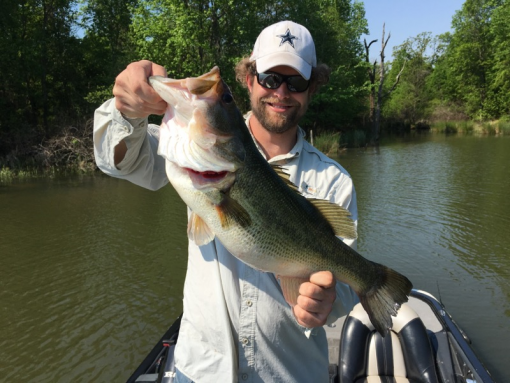 We are having an awesome spawn on Lake Fork and if you enjoy sight fishing now is the time! The mornings can still be a little cool, so if you are planning to come out make sure to check the weather. My go to bait for sight fishing is a Paca Craw/Okeechobee Craw - I rig this bait with a 5/16 Tungsten and #3 rigging hook. I have also been able to catch them with the Zoom Ultra Vibe Speed Craw. Don’t forget to bring a great pair of polarized sunglasses. I use Costa sunglasses with Blue Mirror/Amber. I am also catching some fish right now using a drop shot on secondary points holding timber. I am rigging it with a ¼ oz weight and #1 rigging hook. The trick here is to set your leader at about 12" (Tomato/Mardi Gras) finesse worms. 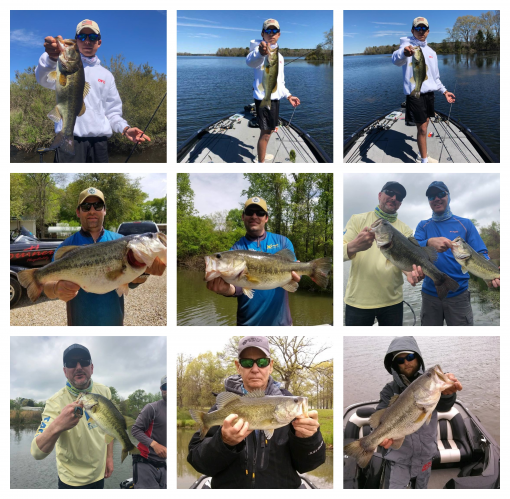 Some other baits we have been working with have been Frogs, Line Through Swimbaits and I can’t tell you enough how productive the Owner-Underspin 3/8 oz with a Skinny Dipper (white trash) has been for us. You want this lure in your boat. I hope this information can help those of you coming out to Lake Fork. I do have evenings open for those looking to get out with me this spring. These trips begin at 4:30 and fish until dark. The cost is $200 and this price is good for 1-2 anglers. I am starting to book up full and half day trips for the second half of June and July and would love to have y'all out. If you are planning on coming out this summer, make sure to get your trip booked in advance. I will put all the prices down below the photos and if you would like to see more, please follow me on Instagram and Facebook. Thank you for stopping by - Eric Wright. 3rd Person $100 - Full day trips begin at first light and end around 4 PM. 3rd Person $50 - Half day trips run for 5 hours.